Connecticut highway tolls: How much could drivers pay? Evening rush hour traffic moves along I-95 near Exit 4 in the Cos Cob section of Greenwich, Conn. Wednesday, Oct. 3, 2018. As the debate about bringing tolls back to Connecticut heats up this legislative session, foes and advocates are debating the need, potential long-term economic benefits versus out-of-pocket expenses, and issues of fairness. Drivers want to known how much it would cost them. But that is not a particularly easy question to answer at the moment. Policy-makers’ proposals, including legislation, has been very short on specifics. But one source of clues is a report supporting tolls issued last year by the state Department of Transportation. The Connecticut Tolling Options Evaluation Study laid out a fee scale that ranges from 4.4 cents per mile for a car during off-peak hours up to 47.2 cents per mile for heavy out-of-state trucks during peak hours. According to fees recommended in the report, a commuter driving from, for example, Trumbull to Greenwich five days a week, would pay $760 a year if he or she had an E-ZPass and drove during peak hours. A commercial truck driver from out-of-state traveling across Connecticut during peak hours would be charged about $54 for a one-way trip. A trek for a driver without an E-ZPass or a commuter discount from Stamford to New Haven and back during off-peak hours would cost about $4. A Connecticut-based heavy truck driver with an E-ZPass who travels about 2,000 miles a week during off-peak hours would be charged about $18,304 in tolls annually. The tolls would yield more than $1 billion in gross annual revenue by 2023, the report estimates. More than 40 percent of that revenue would come from out-of-state drivers, the report said. Although the report lays out the closest thing to a plan that the state government has prepared, it does not necessarily represent what would actually be implemented if tolls were to return to Connecticut. Bergstein’s bill does not include any specifics about, for example, how many gantries would be installed (the report calls for 82), nor does it include examples of toll charges or possible discounts. Gov. Ned Lamont’s administration has only indicated that it supports charging tolls on all vehicles, with few if any specifics. Her one-sentence bill calls only for the transportation commissioner to establish electronic tolls on major highways, establish toll amounts and deposit the proceeds in the Special Transportation Fund. It includes no further details. Many CEOs and business leaders in the state have expressed support for tolls as a means of tackling congested highways and building better transportation infrastructure. But many small and local businesses — especially those that require many miles of travel a day — say tolls would devastate their livelihoods or force them to place the extra expense on the backs of consumers. Republicans in general argue tolls equate to another tax that would burden already struggling middle-class and low-income families. They say now that the state’s transportation funds have been placed in a legislative “lock box,” that money will cover necessary infrastructure upgrades without the need for extra revenue. But the DOT report claims the average commuter would save 15 hours a year that would otherwise be spent in traffic with the addition of electronic tolls and ensuing infrastructure improvements. The cumulative time savings in the state would be an estimated 20 million hours a year, which equates to an economic value of nearly $500 million, according to the report. That same report says the state’s current transportation revenues can’t cover the maintenance of existing infrastructure or needed improvements to reduce traffic. Because revenue from the gas tax has been flat for a decade and is expected to decline as more drivers buy electric or more-efficient cars, the study recommends bringing in a new revenue stream with tolls. A separate report, by the Commission on Fiscal Stability and Economic Growth, said the state should prioritize transportation needs. 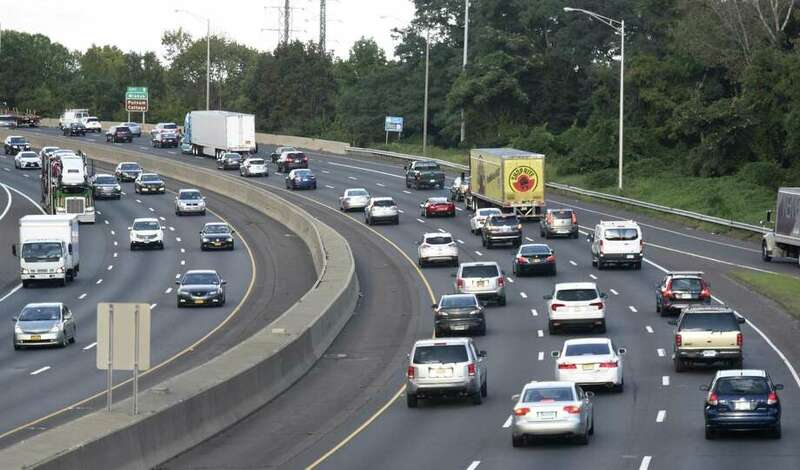 “We need to focus more heavily on projects that have direct economic development and growth payoff — principally highway and rail projects in heavily congested corridors,” the commission, made up of Connecticut business leaders, wrote. But it suggested a different method of raising revenue than statewide tolling. The commission suggested establishing public-private partnerships, creating project-specific revenue streams and securing bonds to fund needed transportation initiatives. It also suggested a toll-like system that differs from the one laid out in the Department of Transportation’s report. The only way the state can secure private investments is if it has a steady funding stream, like the one that would be created with tolls, according to the report. Revenue bonds would be issued against the income stream and private companies would complete the projects with private resources under state oversight. The Department of Transportation report isn’t viewed as a specific roadmap for tolls by Lamont, according to Adam Wood, who served on the committee and once worked for the New York State Thruway Authority. Lamont’s Transportation Policy Transition Committee recommended tolling all vehicles, instead of only tolling trucks as some legislators have suggested in the past. As the last state in the region to implement tolls, Connecticut could use that advantage to learn from surrounding states, Wood said. It’s also pertinent Connecticut brings its roadways up to par with its neighbors’, he added. Bergstein said the state is missing out on billions in private investment dollars. The senator said she is advocating for a “consumer-first model” when it comes to tolls. Credits for low-income families and an option for drivers to pay more for access to an express lane are among the consumer choice options Bergstein has floated. Even if the state doesn’t implement the same toll prices laid out in the Department of Transportation report, the senator said it’s still reasonable to estimate the state could raise about $1 billion a year with some iteration of tolls.